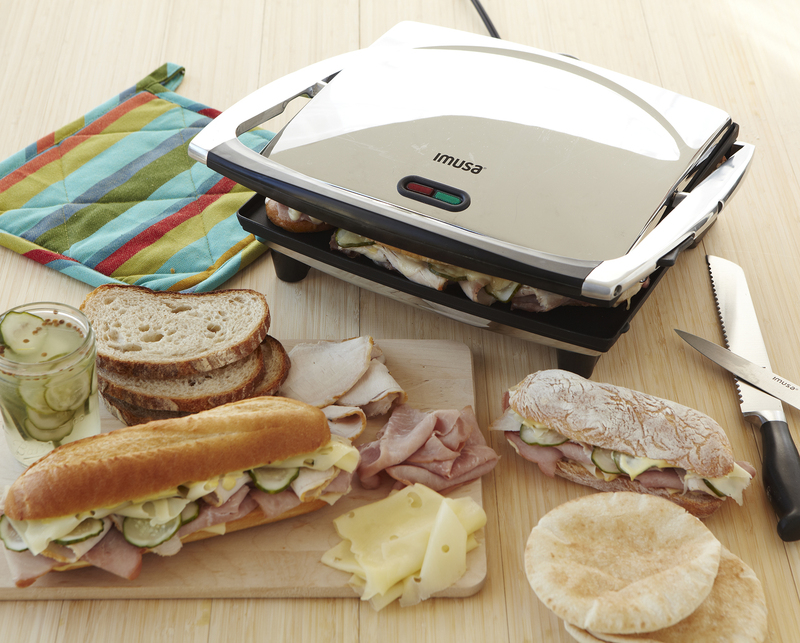 The IMUSA Panini Press will make delicious panini sandwiches in only minutes. 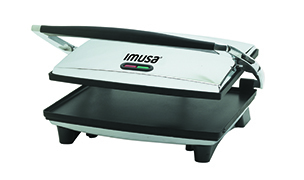 It is truly multifunctional and can handle anything from pancakes to grilled cheeses to arepas. 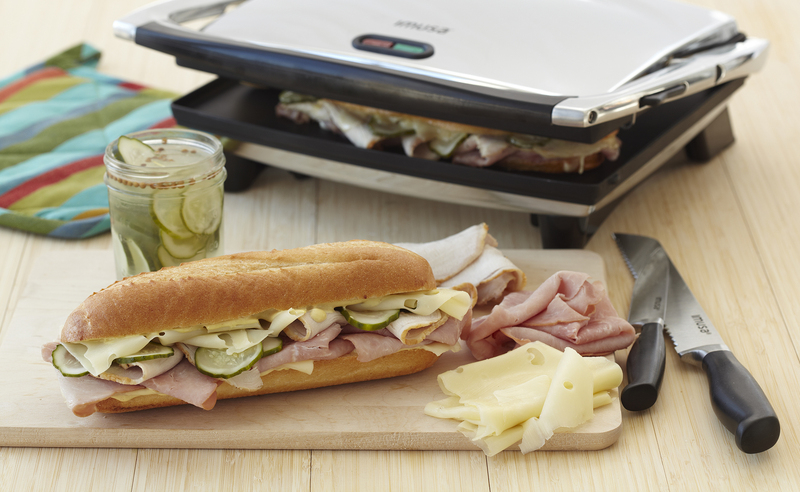 The large nonstick cooking plates will press your sandwich to perfection and make cleaning a breeze. 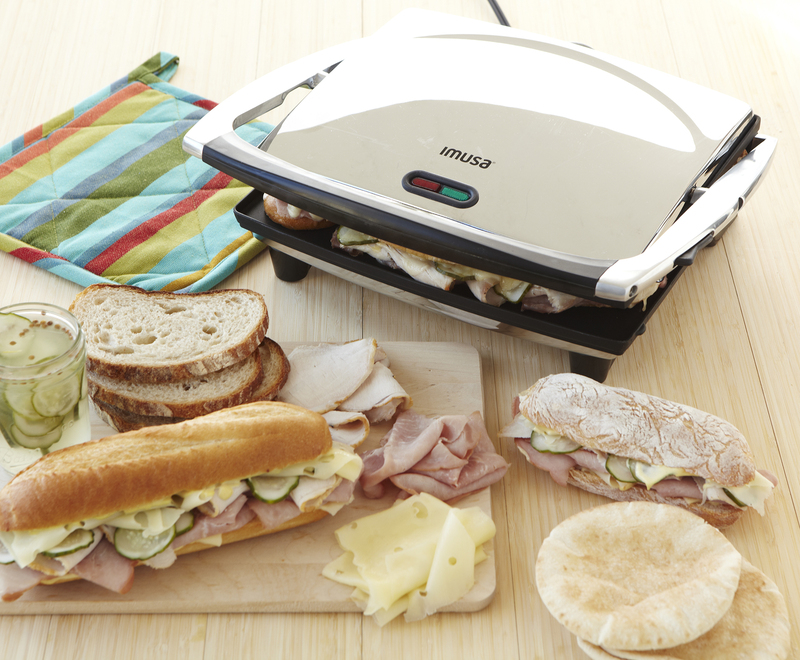 With the IMUSA panini press , make your favorite bistro sandwiches or what your imagination desires. 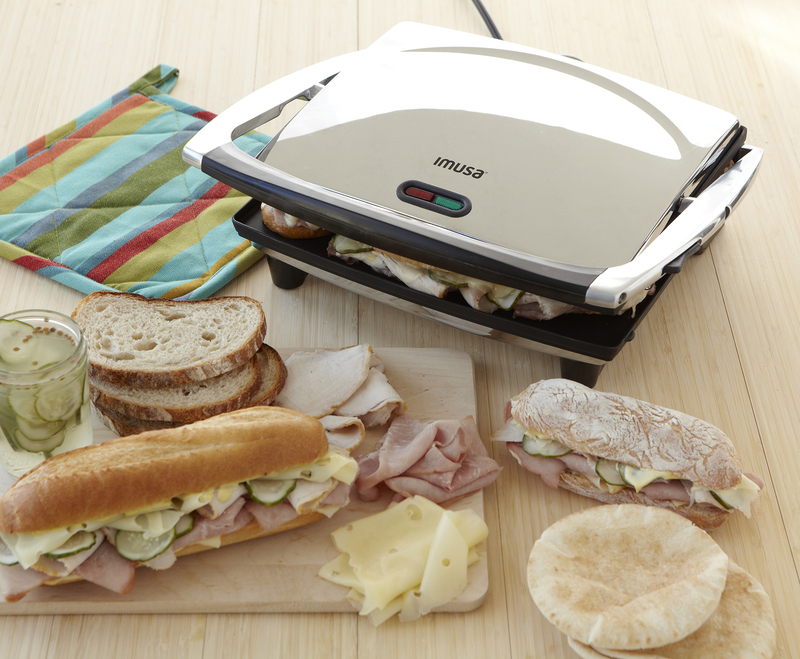 Dimensions: 4.92 in. L x 15.91 in. 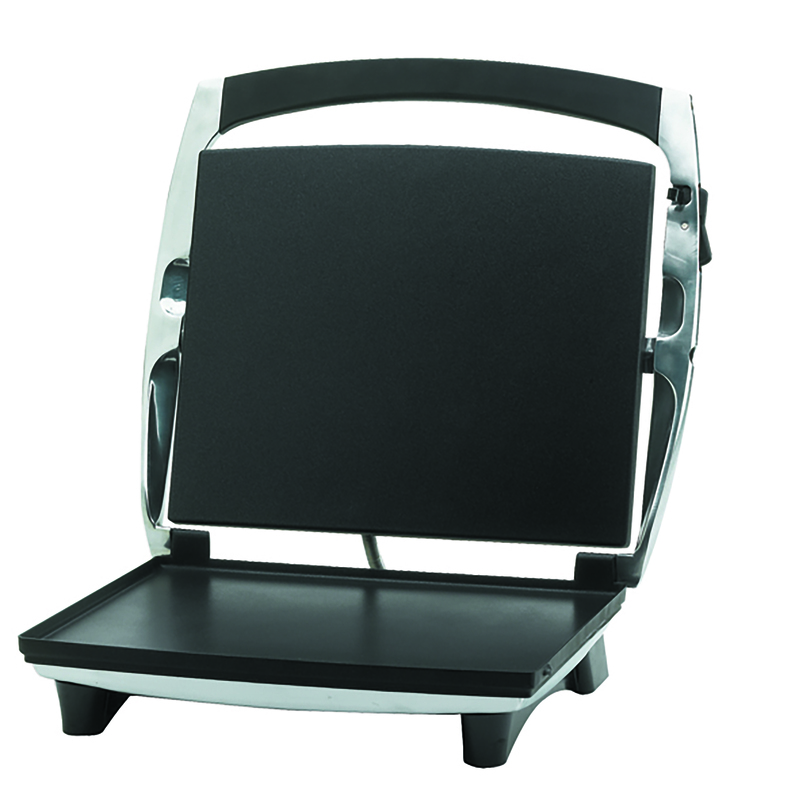 W x 14.76 in. H, 11.00 lbs.